Greenville Jct. 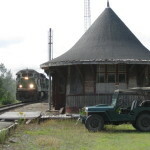 Depot Friends is a 501(c) (3) organization sanctioned by the IRS. All donations to the renovation and upgrading of the Depot building are completely tax deductible under IRS regulations as a charitable donation. 1. Who currently owns the building? 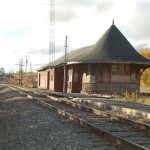 The newly formed Central Maine and Quebec Railway owns the building, and will donate it to the Greenville Junction Depot Friends. 2. 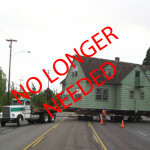 What will happen to the building? Updated: An agreement has been reached with the CM&QR which will allow the depot to remain in its present location. 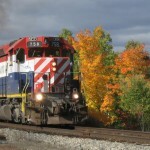 A long term lease has been signed to meet the objectives of the Greenville Junction Depot Friends. 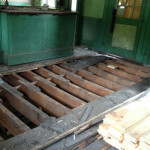 Right now we are restoring the eaves with money raised during the Eaves Campaign. 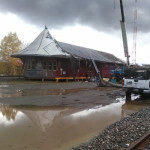 Like the leveling work performed in 2014, this should be very visible to the public and let people know that we are making progress on the restoration of the depot. 4. 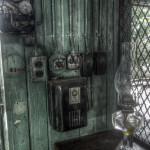 What will be gained from a restored depot station? 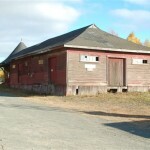 In it’s new life, the depot building will provide the Moosehead region with a much needed community resource building, available for use/rent to the community- such as – senior citizen activities, railroad activities, weddings, dances, musical activities, scouts -to name just a few. 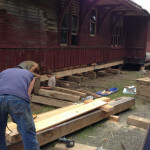 SAVE THE DEPOT is always seeking volunteers! Currently, we are seeking people to help with our initial fundraising events – such as tee-shirt and raffle booths at local events. Very soon, the fundraising committee will be in need of volunteers to help organize special events. 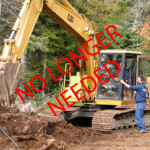 Email savethedepot@aol.com to have your name added to our list of willing helpers. We value your time as much as you do, so even if it’s only a little bit you can give, it will help us to go a long way! 6. How do I get a nifty SAVE THE DEPOT tee-shirt? SAVE THE DEPOT tee-shirts – stylishly designed by Milt Christianson – are available at Kamp Kamp and Gallery on the Lake – both in downtown Greenville. You can also get cool and nifty SAVE THE DEPOT merchandise on our DEPOT GEAR page (link in the nav-bar at the top of the page). 7. Who are the Greenville Junction Deopt Friends? 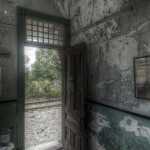 • The original Greenville Junction Railroad Depot building was built by the Canadian Pacific Railroad in 1889. 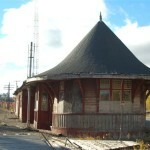 The rounded “witches hat” and ladies waiting room was added sometime between 1901 and 1910. We celebrated it’s 125th birthday this summer on August 16th. 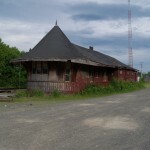 • The Maine Historic Preservation Society named the Greenville Junction Depot building as the most endangered historic building in Maine in 2008. 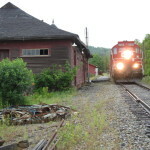 • A group of concerned citizens began an organization in 2010 called Greenville Junction Depot Friends for the purpose of raising funds to save the structure from further deterioration, and to refurbish the building for community use. 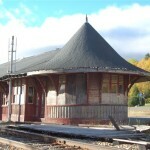 • The current owner of the building is Central Maine and Quebec Railway. 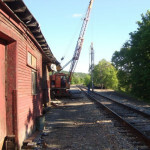 They working with the Greenville Junction Depot Friends to secure this important piece of history . 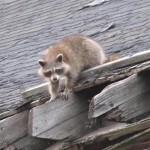 • Licensed Professional Engineer Carmen Bombeke of Gartley&Dorsky Engineering & Surveying, and 2A Architects, Camden, ME have examined the entirety of the building structure and has deemed it sound. A full report has been delivered to the board of directors outlining proposed stages for rehabilitation of the structure. 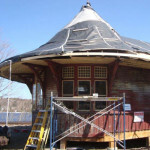 • The Depot Friends have been raising money through the sale of t-shirts, hats, mugs, postcards, raffles of several original paintings of the building and through guided tours of the building. • The Greenville Junction Depot Friends have hosted an Annual Railroad Workers Reunion in the past three years in August at the Depot. 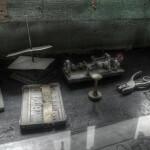 It has exceeded all expectations in terms of attendance of former workers and interest in the endangered building.